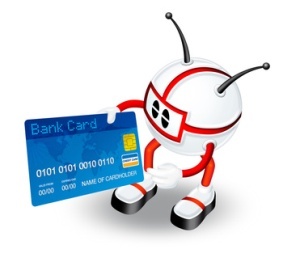 Although it is not really a credit card in the proper sense of the term, the shopping cards offered by Internet giants Newegg.com are often (mistakenly) referred to as Egg credit cards. However, if you a tech head, a gamer or just someone who loves to shop you might want to consider a Newegg.com store account as it offers a convenient way to almost instantly satisfy your passions! When Newegg.com was first founded back in 2001 it was strictly a computer hardware and software retailer. It quickly became to go to source for tech heads looking for a great deal on every kind of computer hardware accessory under the sun and it is still the favored choice for these products for many. Over the last decade though Newegg.com has expanded its offerings by leaps and bounds and now sells all kinds of electronic gadgets, big and small as well as game systems (and the games to play on them) cell phones and even a huge selection of home and office products. All of this growth means that the Newegg.com Preferred account – as this “Egg” credit card is officially known is converted by more people than ever before. The Newegg.com Preferred Account is not, as previously mentioned, a credit card in the conventional sense of the word. It can only be used to purchase items from the Newegg.com site but given how broad the product selection there is now it gives consumers shopping access to literally thousands of different products. You can apply for a Newegg.com Preferred Account right on their website, in fact the option to apply for an account is usually offered to all customers completing a check out at the site who are not using such an account to pay for their purchases. You will need decent credit to qualify for a newegg.com Preferred account but the requirements are not as strict as they are for most traditional credit card offerings so if your credit score is around 635 or better you have a good chance of being granted instant approval on-line. The amount of credit you are initially granted will vary based upon your creditworthiness. To get the most out of your Newegg.com account it often pays to watch for the items you are looking for to appear in the “Daily Deals” section of the website. These are discounted offerings on a wide range of the products offered at New Egg but only last for a short period of time, so the fact that you have the credit available at your fingertips to take of advantage of them while they last is a real bonus. NewEgg have also recently begun offering outside sellers the chance to begin offering their products for sale in the Newegg Marketplace in a manner similar to that operated by Amazon. Many of these sellers do accept the Newegg Preferred Purchase account as payment, which expands your shopping choices even further. If you are shopping the Marketplace though you should check the listing before purchasing to make sure that the seller does indeed accept the Newegg Prefered Purchase option before you check out. Once you have been approved for a newegg.com Preferred purchase account you can begin shopping right away. There is no annual membership fee to worry about but the fixed APR of 25.99% is considerably higher than that charged on many traditional credit card offerings but that is the norm for store card accounts like the “Egg Credit Card”. The nice thing about the Newegg.com Preferred Account is that it offers consumers several ways to finance the cost of the items they want and avoid paying interest altogether. In many instances purchases are subject to a deferred interest plan that can save cardholders an awful lot of money. This means that if your purchase is paid in full by a certain date- usually 6 or 12 months from the purchase date – then you will not pay a penny in interest. If however you do not manage to pay off the full amount by the required date all of the interest payments you would have had to have made since the purchase date are then applied to your Newegg.com Preferred Account. So to get the best deal you should be fairly certain that you will be able to pay off your balance within the alloted amount of time to avoid overpaying for your items. Interest free purchases are not the only benefits available to Newegg.com Preferred Account holders. Card membership usually brings a great many discount coupons and special members only offers on a rotating selection of merchandise offered on the site. There is also a “zero liability” identity theft protection that is rather reassuring, especially since Newegg.com is a solely an Internet based store. Managing your your newegg.com Prefered Account is very easy and is (as you would expect) done completely on-line. Preferred account holders have access to their balance and other account information at all times and can see at a glance how much they have to spend, when their next payment is due and perhaps most importantly how long they still have to pay off those deferred interest purchases. Live chat with customer service representatives is also available and phone based customer service is offered during regular business hours.